St Patricks Day marked a hugely successful day for Railway Union with all four teams who competed in finals coming out victorious. The Junior Girls got the day off to a great start by overcoming Old Alex 1 – 0. The Mens 1st XI didn’t want to be out shone so they went out and emphatically beat Portrane 5 – 1. 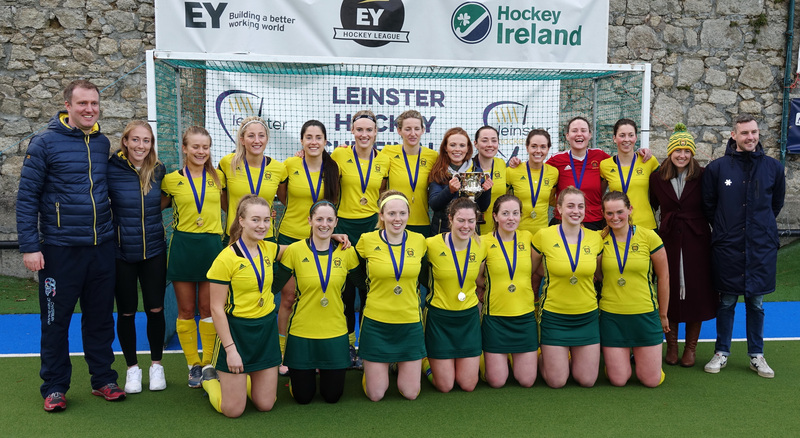 It was then the turn of the Ladies 2nd XI who got the job done in 1v1’s after a hard fought 1 – 1 draw against Loreto. 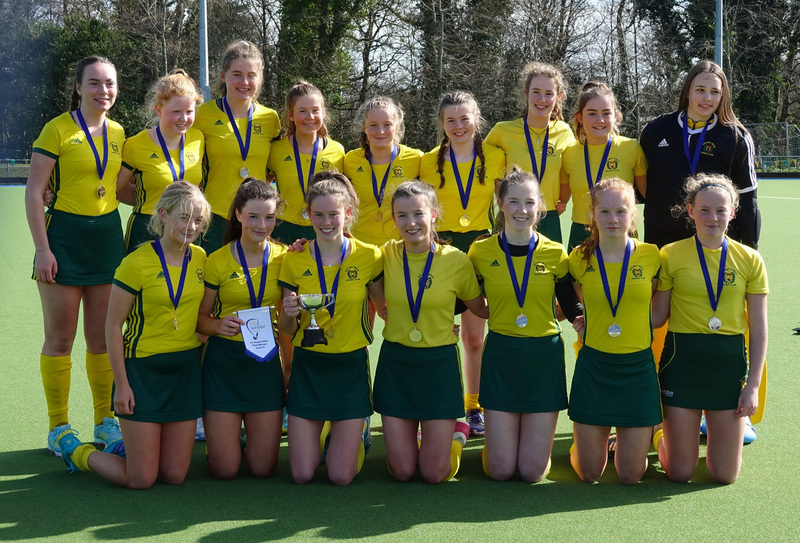 On to the Ladies 1st XI to finish off a perfect day with a 2 – 1 win over Old Alex. 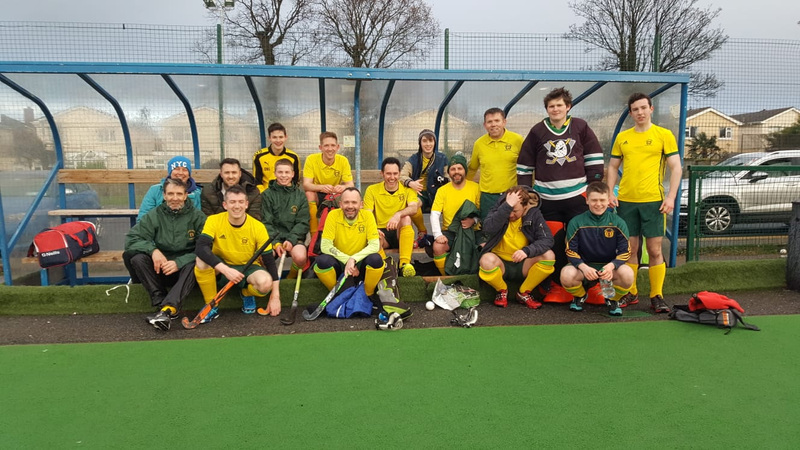 On top of all of these cup wins the Mens 4th XI wrapped up Division 6 with a 1 – 1 draw with Avoca. 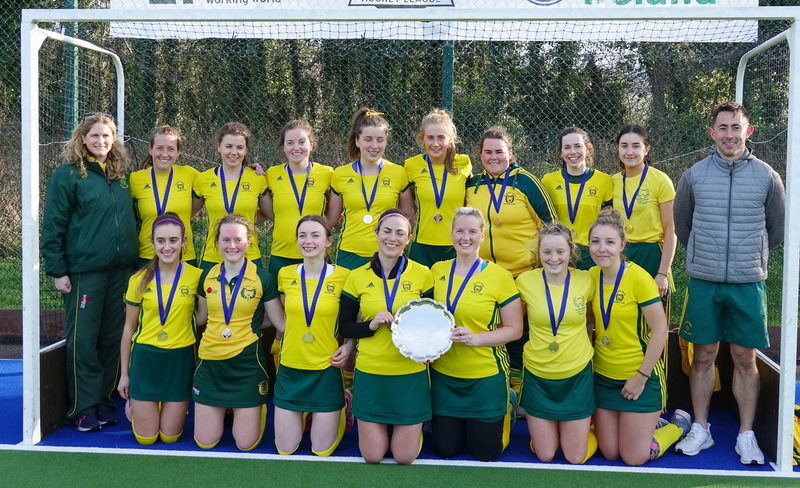 Overall an extremely successful weekend for Railway Union Hockey Club but there are still exciting times ahead with more cup finals to come and leagues still being fought for. 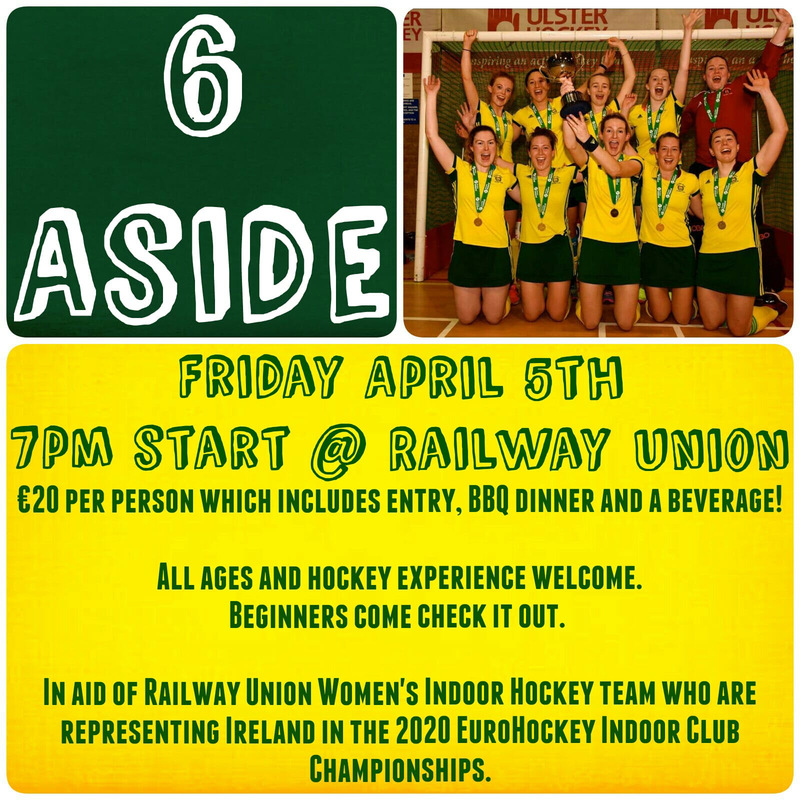 6-a-side hockey fundraiser for the women’s Indoor team who are representing Ireland in the EuroHockey Club Championships. All standards are welcome and catered for! We will provide sticks and equipment for those that need it. Prizes on the night for the winning team! €20 entry per person which includes your entry, a BBQ dinner and a free alcoholic beverage (for the 18+ year olds, soft drinks for the U18s of course!). You can enter a team, or enter as an individual and be placed on a team. Reach out to Holly – 0861080689 for entry or any questions. You can also enter on the night.